The all in one Modbus TCP and Serial contribution package for Node-RED. If you like that contributor's package for Modbus, then please give us your star at GitHub ! You could help as a backer of the project. The serialport optional dependency is just to list all ports on your system in the client configuration. It is not the serialport version to work with Modbus at runtime. For that check the modbus-serial or jsmodbus package.json, please! The modbus-serial supports and works for TCP connections in that package, too. 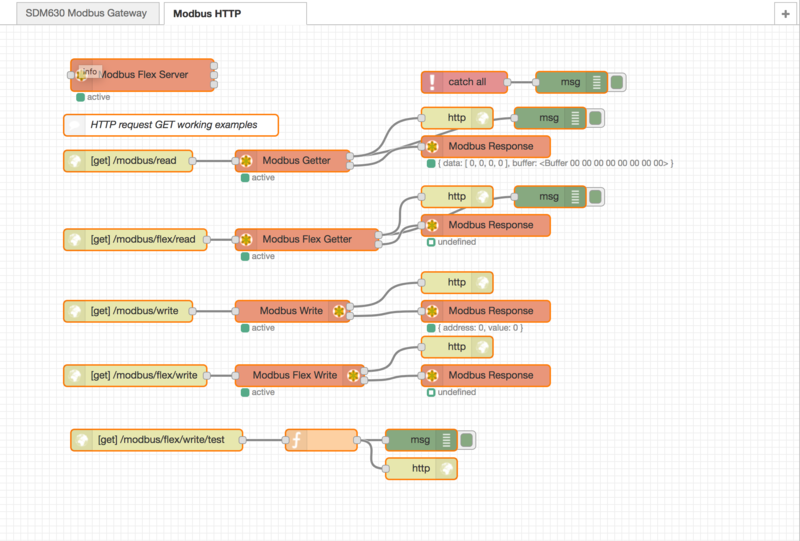 The jsmodbus package is just to provide a simple Modbus Server node. All Modbus commands running on modbus-serial. If you get in trouble with TCP connections, then check and test with just modbus-serial first, please! If you get in trouble with Serial connections, then check with just serialport first, please! To update the dependencies or the whole package, you have just to install again. Let's work together! Please read and in best case accept CONTRIBUTING by your sign and send it via E-Mail. You could also send just a pull request or issues while testing, please! Click here if you want to back the project!